Since 1945, GEORGIA Magazine has been the official voice for electric cooperatives in Georgia and is the Peach State’s largest monthly circulation, general-interest magazine. The publication features Georgia people, places and events and provides information concerning policies, viewpoints and objectives of the state’s electric cooperatives. 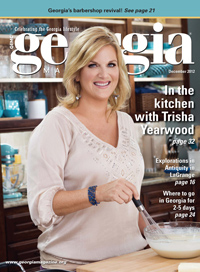 GEORGIA Magazine’s goal is to provide well-balanced content geared to its readers for their enjoyment and information.